I learned during my second time ttc that my mucus is very thick so it’s harder for sperm to pass. This time, very first time I used it this month, for baby number three and got my BFP at 9dpo very faint positive, I have tested everyday since and they continue to get darker! 100% convinced that Mucinex is my fertility drug. We see the dr next week! Baby wishes for all of you still trying ?? Congratulations! ???? how much mucinex were you taking and for how long? Worked for both of my babies! Had my first appointment last week and all it’s well! Yellow eggwhite/snot like cm 5/6 dpo? THICK fair test line after the time limit? 6 dpo and super high cervix? 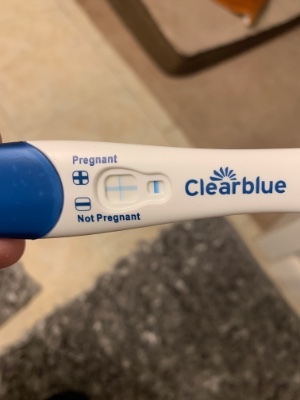 12/13 dpo BFP or Evap line! Help!